Byrley Law Firm, LLC, provides exceptional and cost effect services to employers, families, and individuals seeking help with their immigration and naturalization needs. Located in the Baltimore-Washington corridor, we are within an hour from most locations in the metropolitan area. For employers and professionals needing assistance with working visas, we offer experienced and responsive legal representation. We have a track record of success, with a 100% approval rate handling National Interest Waivers for scientists from NIH, Johns Hopkins, and similar institutions. Our mission is to provide the highest-quality representation, whether for individuals, families, or organizations. 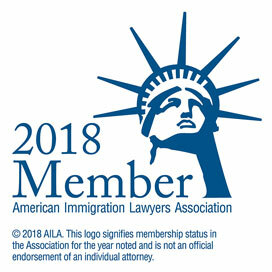 Naturalization and citizenship have always been a focus of our practice. Byrley Law Firm, L.L.C., assists individuals and businesses in all jurisdictions and in all matters related to U.S. immigration and nationality law. Our clients include international investors, leading non-governmental organizations, employers throughout the US, researchers and scientists, as well as private individuals, engaged couples and families across the world. Our mission is to deliver the highest quality legal counsel and service to our clients, and in fulfilling this mission we strive to establish and maintain open and long-lasting relationships with our clients, with the understanding that, to be effective, an attorney must see the client, not as "case" but as a person. We are located in Columbia, Maryland, and are convenient to the entire metropolitan Washington, DC, and Baltimore area. Please contact us today and let us know how we may help you.